April 18th sale of finished cattle- details will be available after noon today by clicking here. Steer and heifer calves traded 2.00 to 6.00 higher Tuesday compared to last week at OKC West - click or tap here for a look at the April 17th sale results. Daily Oklahoma Cash Grain Prices- as reported by the Oklahoma Dept. of Agriculture on Tuesday, April 17th. The two latest reports from the Oklahoma Forestry Services and the Oklahoma Emergency Management leave the two largest fires in northwest Oklahoma at a combined 316,000 acres plus. The 34 Complex Fire in Woodward County has consumed thus far a total 67,776 acres and is approximately 45 percent contained. The Rhea Fire in Dewey County has so far consumed 248,589 acres and remains at only 3 percent contained. Embers were reignited yesterday in and around these two fires- plus new fires were happening in Harper, Roger Mills and Woods County and more. For those outside of the impacted area- if you can help with hay and/or milk replacer for calves- please call Dana Bay with the Woodward County Extension office- 405-590-0106- if you can help with transport of hay- call Dana as well- she is working with her colleagues in the adjacent counties- including Dewey to get help where it is needed. If you want to give cash- here is our earlier story listing the Oklahoma Cattlemen, Oklahoma Farm Bureau and AFR Foundation details- all money given to these groups will go to ranchers and those impacted by these fires. Pray for rain- it is in the forecast for Friday and Saturday for northwest Oklahoma- it really is the answer needed at this time. 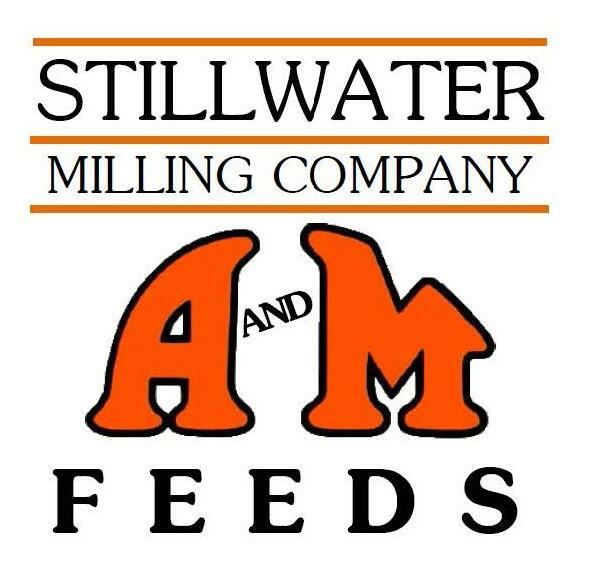 It's great to have the Livestock Exchange at the Oklahoma National Stockyards as a sponsor for our daily email. The eight Commission firms at the Stockyards make up the exchange- and they are committed to work hard to get you top dollar when you consign your cattle with them. They will present your cattle to the buyers gathered each Monday or Tuesday at one of the largest stocker and feeder cattle auctions in the world. Click here for a complete list of the Commission firms that make up the Livestock Exchange at the Oklahoma National Stockyards- still the best place to sell your cattle- and at the heart of Stockyards City, where you can go around the corner enjoy a great steak and shop for the very best in western wear. Early Tuesday morning, Bloomberg reported that China has responded to a February investigation into allegations the US was dumping US Grain Sorghum into their country by implementing a punitive 178.6 percent "duty" on US Grain Sorghum in retaliation. China in the past has been the largest foreign buyer of US Grain Sorghum, importing about 4.8 million metric tons of sorghum from the U.S. worth about $957 million, just last year. We have both the statement from NSP released yesterday morning- see below- and also an interview that was done by Farm Broadcast friend Tony St James with Tim Lust, long time CEO of the National Sorghum Producers. Click here for that report. The National Sorghum Producers released a statement in reaction to this development expressing the organization's "deep disappointment" in China's ruling and argued that the industry has prior to the decision, demonstrated conclusively that US sorghum has "neither been dumped nor caused any injury to China." "None of this information appears to have been seriously considered or used in today's preliminary determination, which is neither fair nor appropriate," the statement reads. "We continue to greatly value our Chinese customers and what has been a win-win business relationship between U.S. sorghum producers and our Chinese partners. Today's decision in China reflects a broader trade fight in which U.S. sorghum farmers are the victim, not the cause. And U.S. sorghum farmers should not be paying the price for this larger fight. NSP is now in evaluation of all legal options as they move forward. Click or tap here to read the full statement. Long-time employee of the Carnegie Gin, Jeannie Hileman, was recently named a Significant Woman in Agriculture by the Oklahoma Department of Agriculture. Hileman has produced and persisted through literally the best of times and the worst managing the Carnegie Gin, which has been in operation since 1925. Right now, Hileman is experiencing some of the best times in recent cotton history. This most recent crop, 2017, ranked as the 11th best in state history in terms of production. More so, this next crop of Oklahoma Upland Cotton is expected to be planted on 16 percent more acres than in 2017. Hileman, who started her career at the gin in 1990 as a seasonal bookkeeper, eventually became office manager and by 1995-96 was the gin manager. In recent months Hileman has overseen the opening of Carnegie Gin's new plant, which has proven to be one of her greatest challenges, yet. "This past year has been rough on everyone," she said. "We started harvest 2016 in the middle of October, and we weren't finished when the board, general manager and I flew out to North Carolina to look at the gin we purchased for here in Oklahoma. It has been non-stop ever since. We are now running both gins 24/7. I am really excited to have the opportunity to upgrade to such a modern plant." Click here to read more about Hileman's story and find out what makes her a Significant Woman in Oklahoma's ag industry. 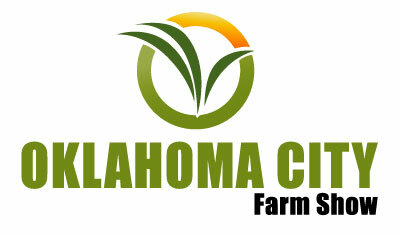 The Oklahoma City Farm Show officially opens tomorrow morning at 9:00 AM in the Bennett Event Center at State Fair Park in Oklahoma City- as it has for every year of this show- admission and parking continue to be free. Over 350 exhibitors featuring over 1,000 product lines for three big days make this a show worth checking out. The show runs Thursday and Friday from 9 am to 5 pm and Saturday from 9 am to 4 pm. Exhibits include all of the latest in agriculture with a full line of displays, including tractor, sprayer, tillage, harvest equipment, cattle management products, and more. Plan your visit with the Interactive Floor Plan to review companies and products represented at the show. Free Coffee & Rolls each morning! Live Music by Rusty Rierson! Be sure and stop by our booth at the Show and say howdy- we are located in booth 805 on the east wall of the Event Center. We are pleased to have American Farmers & Ranchers Mutual Insurance Company as a regular sponsor of our daily update. On both the state and national levels, full-time staff members serve as a "watchdog" for family agriculture producers, mutual insurance company members and life company members. 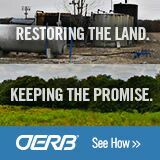 Click here to go to their AFR website to learn more about their efforts to serve rural America! According to Jim Robb of the Livestock Market Information Center, it is uplifting to see that despite all the turmoil in today's marketplace, the livestock and meat markets are sailing along relatively unphased by what is going on around them. In a recent interview, he reviewed the latest World Agriculture Supply and Demand Estimates report (WASDE) out last week from the USDA which he says showed only small changes if any at all to the agency's forecasts for this year. "On the meat market side, the adjustments were rather minor, less than one percent," he said. "Some people tried to make news out of that, but those were really in line with expectations. I think a bit of the key of the report, from a broad livestock perspective, is the trade numbers from USDA." Robb says many in the industry have worried that potential tariffs might disrupt what has been a relatively strong export market this year. But again, the numbers in this report showed little change to prior expectations, although there was some reshuffling of the numbers. While export forecasts were slightly lowered for the current market aggressor, China, forecasts for other markets were raised - offsetting the losses to China. Overall, Robb says the meat markets are managing to skirt around the impacts of geo-political concerns. This is particularly good news, given the other major concern Robb shares with the rest of the industry which whether or not cattle are being backed up in the feedlots due to oversupply and increased production in the pipeline this year. But, that is clearly not the case. Robb says one must only look at the current dressed weights of steers, which are up above a year ago by 10 lbs. with no sign of abnormal changes to the seasonal patterns. According to Robb, everything is in on track and moving ahead, "steady as she goes." Listen to Robb and I discuss how the beef markets are dealing with current internal and external pressures to stay current, on yesterday's Beef Buzz - click here. We continue our coverage this week with your Southwest Area Star in Agribusiness, Chisholm Kliewer of the Thomas-Fay-Custer FFA Chapter, whom during his high school career, has worked to build a prosperous quail hatchery business serving local hunters and farmers. Chisholm got the idea after visiting another FFA chapter and met students there that had been successful with their own businesses selling game birds. Chisholm took action to seek startup capital and was awarded a grant through National FFA. With that, he built an incubator and the necessary housing facilities and thus began K-Bar Game Birds. Chisholm aspires to one day work in wildlife management, but has more immediate goal of earning a degree in Rangeland Ecology Management from OSU. 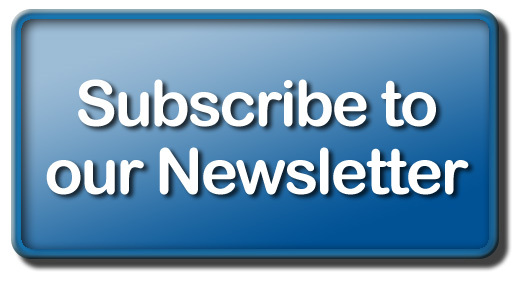 You can hear our entire conversation, by clicking or tapping over to the Blue-Green Gazette on our website. Special thanks to our friends at AFR and AFR Insurance for sponsoring of our coverage this year. 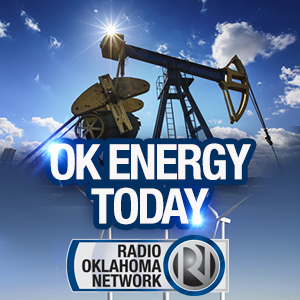 Oklahoma Lieutenant Governor candidate and member of the Oklahoma Corporation Commission, Dana Murphy, dropped by our studios recently to talk about her diverse background rooted in agriculture which she believes makes her a strong candidate for the upcoming race. Describing herself as a proud northwest Oklahoma girl who grew up in ranching family on their Ellis County Red Angus operation, Murphy is by trade a geologist and an attorney. During her career she has maintained her own law practice, her own geological consulting business and has worked in the private sector for other companies, and for the last ten years, she has held a seat on the Oklahoma Corporation Commission. She shared her concerns about the direction in which the state is going and how politically, she believes changes need to be made. Fundamentally, she says if Oklahomans want something different, they have to do something different. "I'm running for Lt. Governor because I have something different to offer," she said, addressing some of the issues Oklahomans face today such as the budget deficit and the challenges of rural Oklahoma. "If you live in rural Oklahoma, it's because you want to and so we have to make sure there's opportunities for that particular area." Read more or listen to Murphy explain her stance on a variety of issues facing Oklahomans right now and what concerns and solutions she has regarding the state's future in our full-length interview - click here. The day has arrived- House Ag Committee Chairman Mike Conaway will attempt to get across the first finish line today as he and Committee members mark up his 2018 Farm Bill Proposal. Democrats are not on board with the Chairman- they don't like his Nutrition proposals- and some observers are convinced they will drag their feet- hoping they can capture the House in November and take control of the House- which could make Colin Peterson Chairman of the Committee again- and would reshape what a Farm Bill might look like. That drama starts to play out today at 9 AM Central- click here for the link to get to the live feed of the proposal. For more on the Chairman's Farm Bill Proposal- click here. For our earlier conversation with the former Chairman of the House Ag Committee, Frank Lucas, on how things may play out- click or tap here. The regular monthly meeting of the Oklahoma Wheat Commission is set for tomorrow at 1:00 PM- and we have the latest update on their agenda available by clicking here. On Friday- the Oklahoma Wheat Commission building will be full of wheat folks- with morning meetings(9 AM) planned by the Oklahoma Crop Improvement Association and the Oklahoma Wheat Growers at the Commission offices- and then after lunch- a board meeting by Oklahoma Genetics is planned at 1:30 pm. A special wheat industry luncheon is planned for Friday- where a special award, Extending the Legacy, will be presented by OSU Wheat Breeder Dr. Brett Carver.